Last Saturday we got to attack this WOD after a whole day of rowing at the CrossFit Rowing Trainer Course. It was estimated that we rowed around 20k throughout the day. For those that attended the course at CrossFit Boston, you know how much learning to row efficiently pays off in Rowing WODs like this. Shane Farmer, Head CrossFit Rowing Coach, completed this in around 15 minutes. Grab a friend, show them how to row efficiently, put a 25 minute time cap on the clock, and get after it. 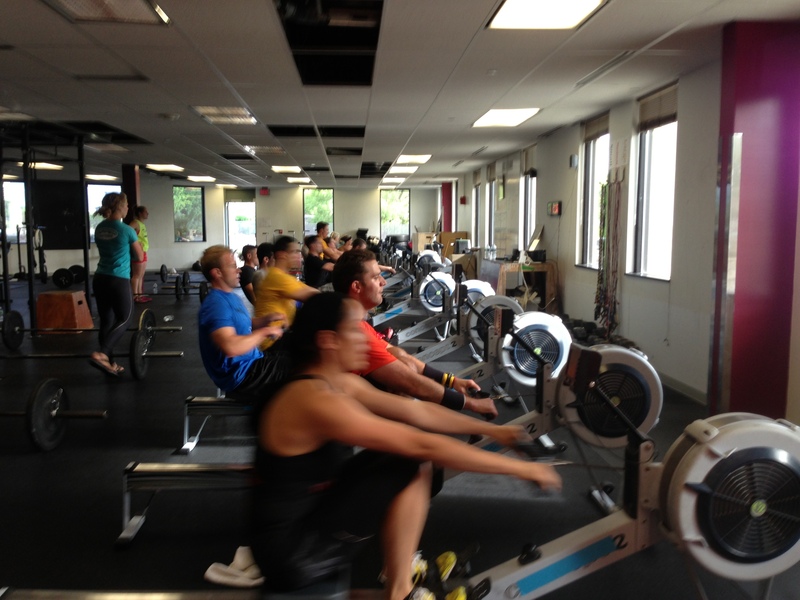 Post your time to comments and consider taking a CrossFit Rowing Trainer Course in your area! Yea it would help if I read it closer! You boys better bring it, my wife is doing this today and will probably put us all to shame. Nice! Hope she had fun!